My wife has her special day once a year and this year for her birthday dinner with her family, we held it at Tong Lok Xi He Peking Duck at Grandstand. She likes the duck and since we’ll be in the US for her actual birthday later in October, we did the dinner now. We have been here before, but this time we added some new dishes to the menu! 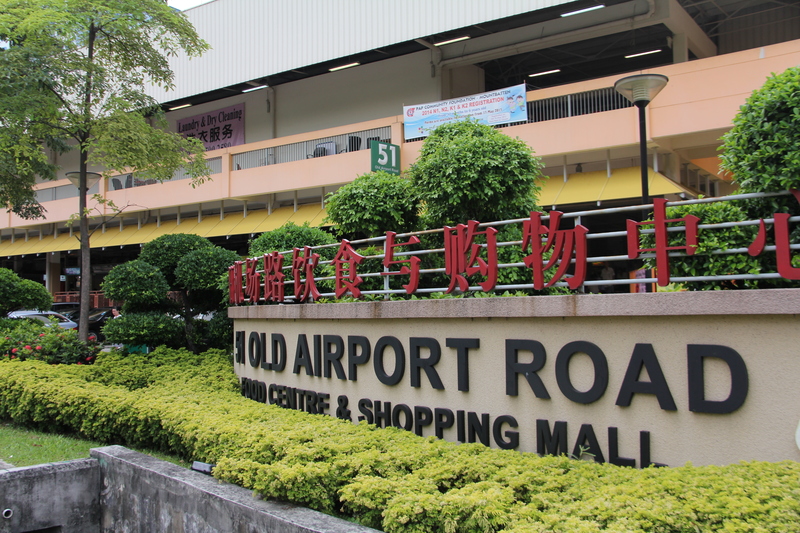 Check out our previous visit to Tong Lok Xi He. 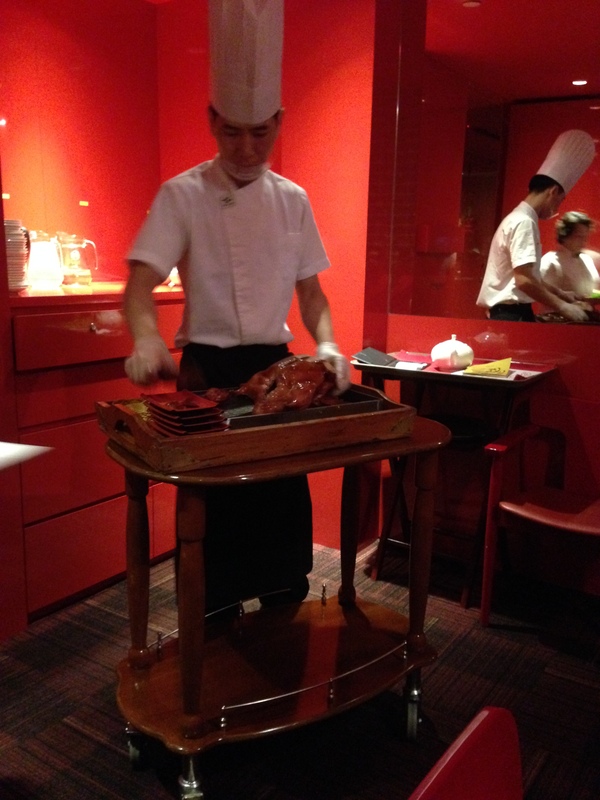 But first, here’s the Peking Duck! No complaints whatsoever at all. 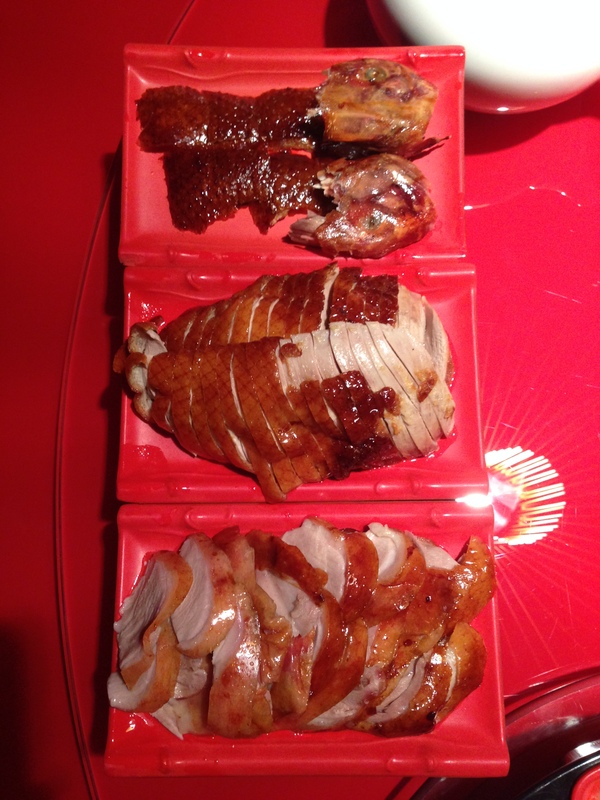 The duck was juicy, moist and great tasting. The accompanying platter of crepes and fixings and sauces for the Peking Duck. Silverfish is a mainstay at the table for Lena’s family dinners. 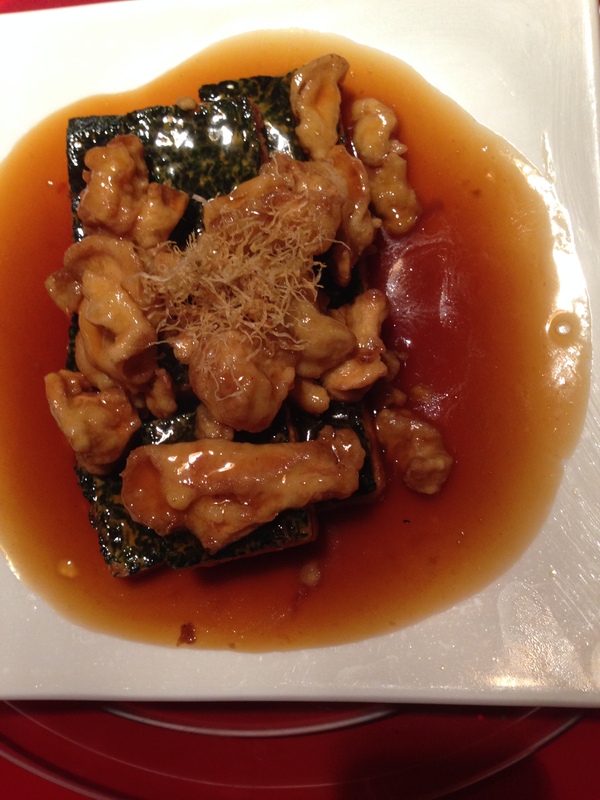 I loved this dish so much the last time, I ordered it again because the family loves tofu and they love mushrooms. Tofu with Monkey Head Mushrooms. So delicate and lovely. 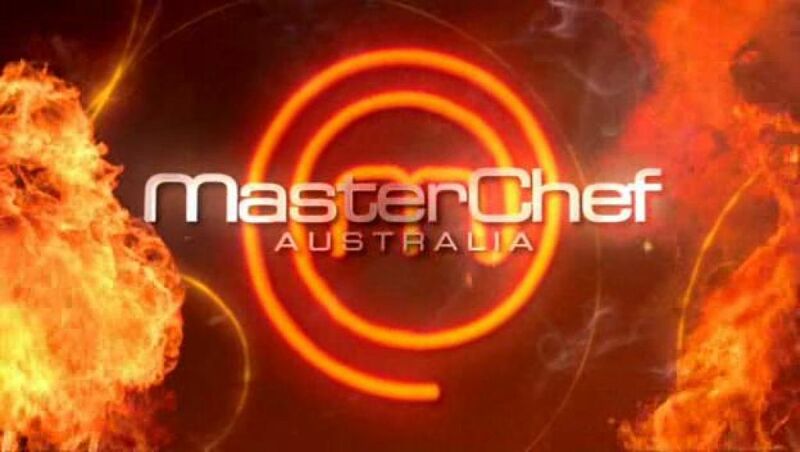 Prawns in a honey sauce. Wow. 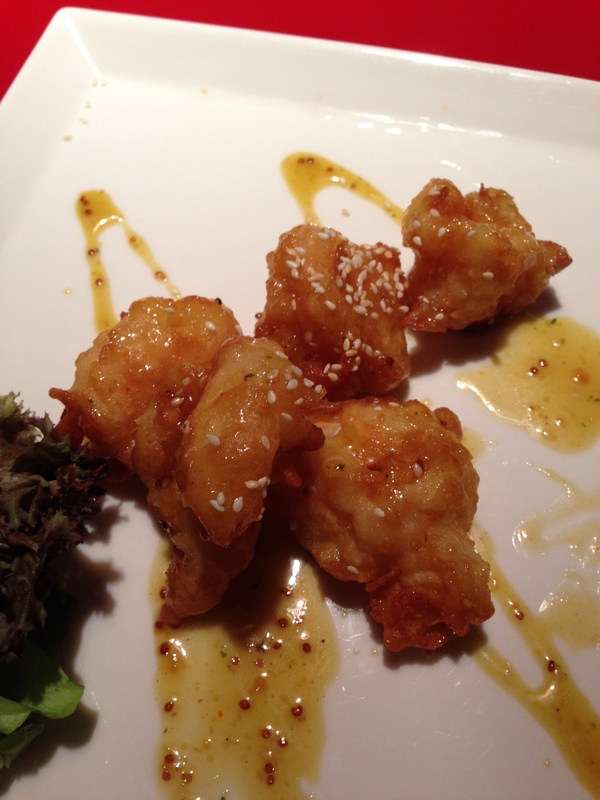 The prawns were juicy, big, and fried well. The sauce was not too sweet and it tasted heavenly. 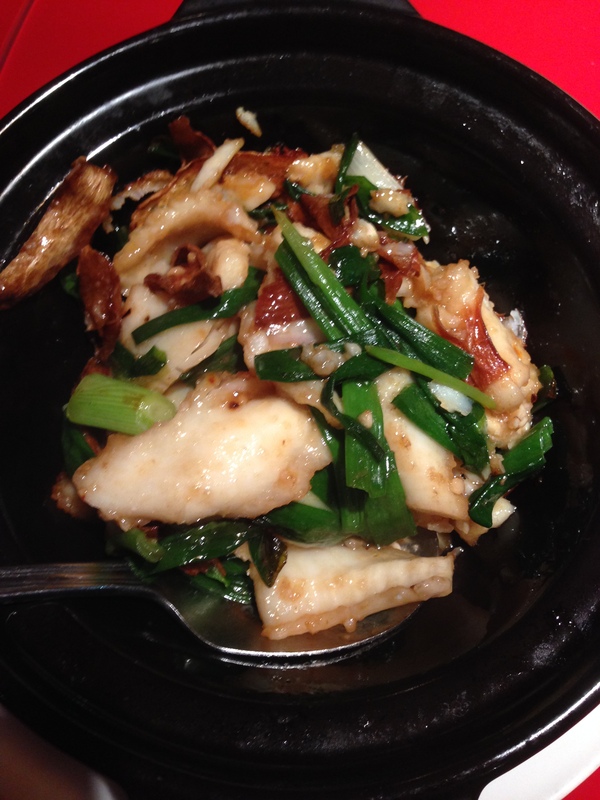 Fish Slices with Garlic in a hot pot. Stewed nicely, the fish was just falling apart and the garlic was not too overpowering. San Bei Frog. 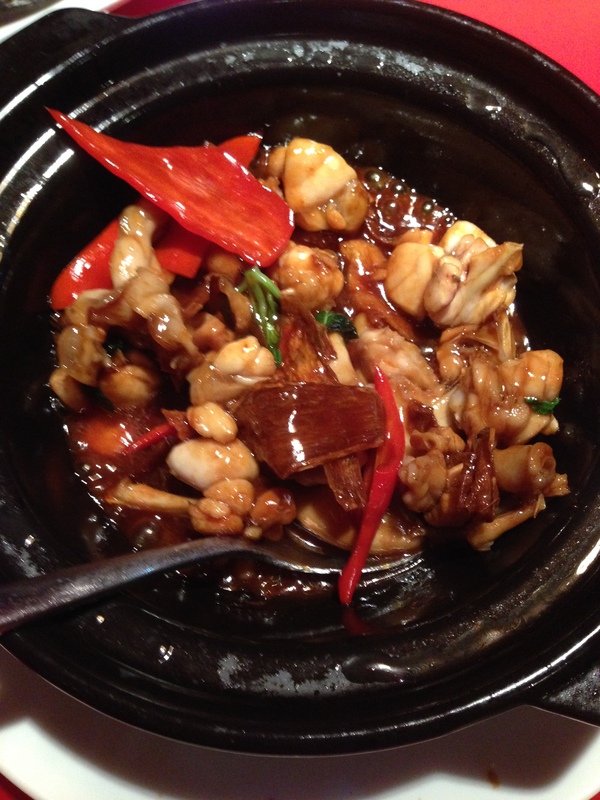 The frog was quite tender and the spices not too overpowering. Another very nice dish. 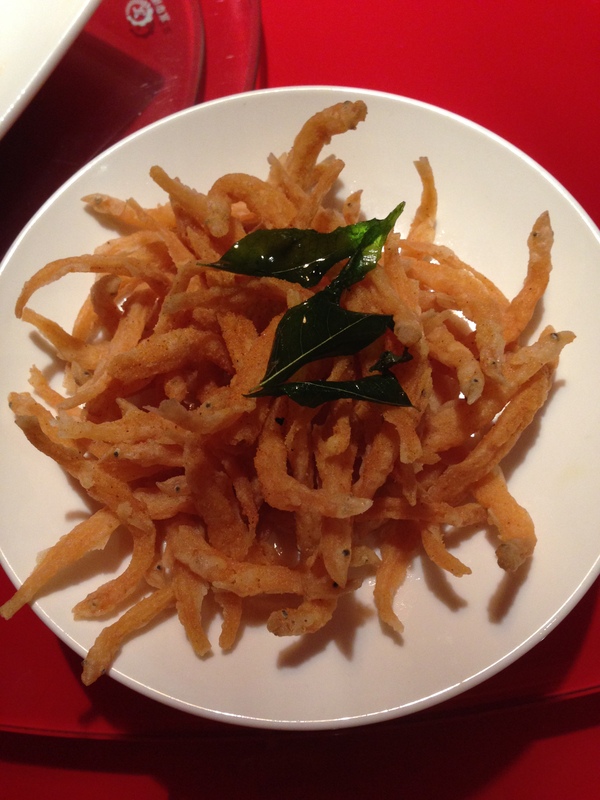 Seafood Vermicelli. Wow, this was a highlight of a dish. 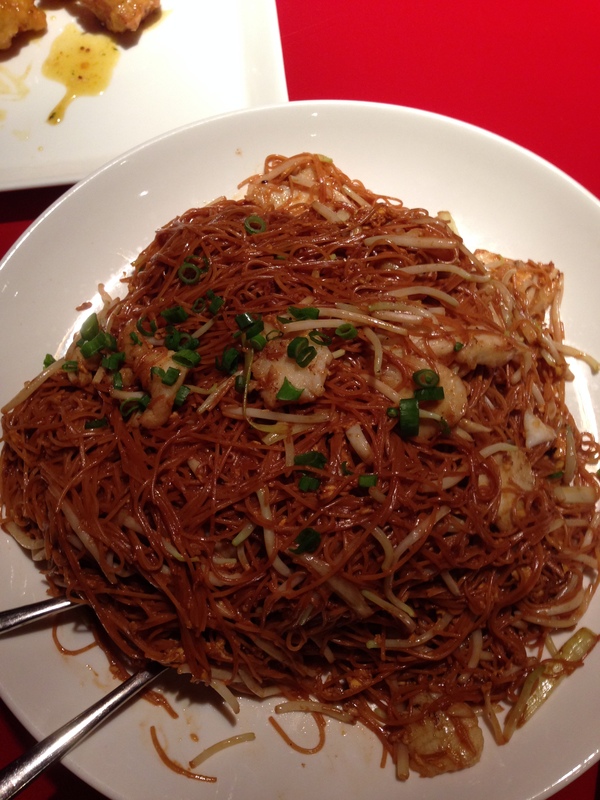 The noodles had a nice wok hei, the seafood fresh, not too oily, it was just very, very tasty. This is a large portion and 7 adults and two children polished off the whole thing! 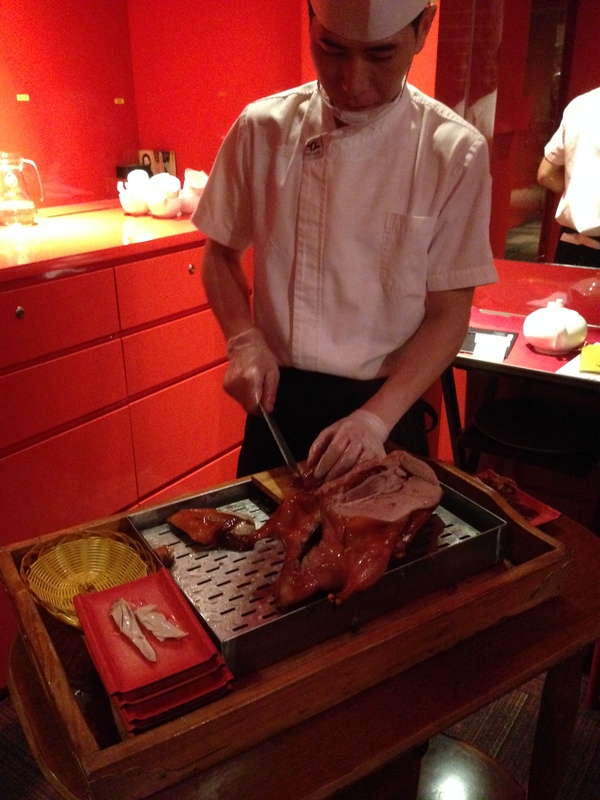 The meal itself, quite pricey, S$250 before GST and service, the duck itself was S$78. But, the quality of the food and taste were awesome. 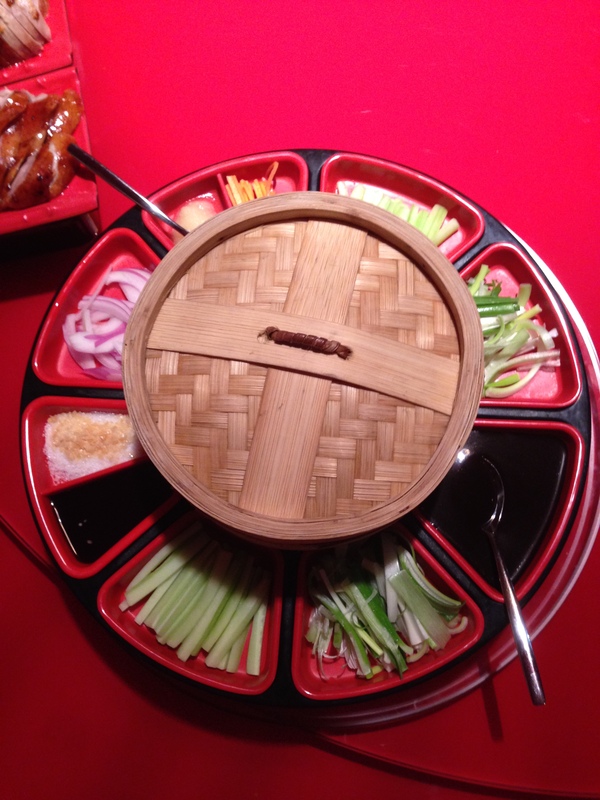 I have always said, if you go to celebrate and want good food, Tong Lok will certainly meet your expectations. I ordered a Salted Caramel Chocolate Cake from Cakes & Cravings on Joo Chiat Road. 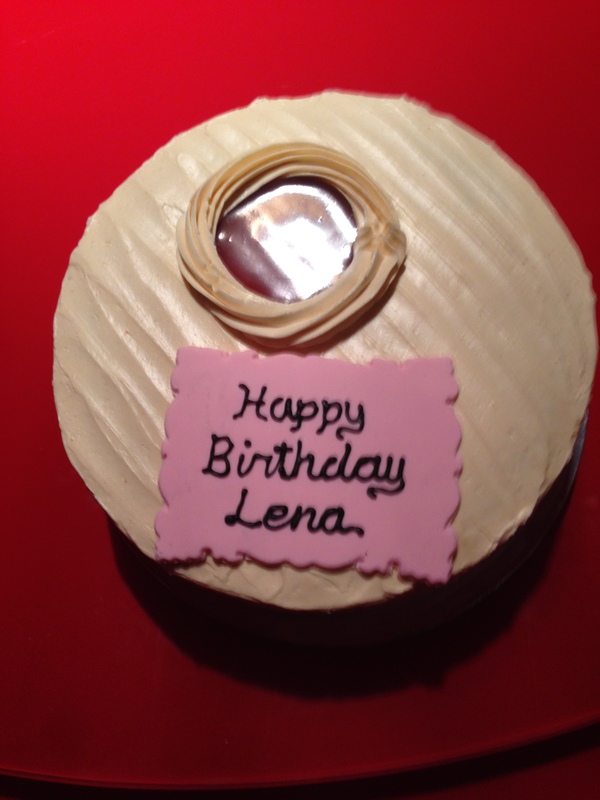 A little pricey at S$60 for an 8″ cake, but man, was it worth it. The cake was awesome. Dense chocolate cake and then buttercream frosting with salted caramel mixed in and then a pool of it on top. Wow, what a cake! 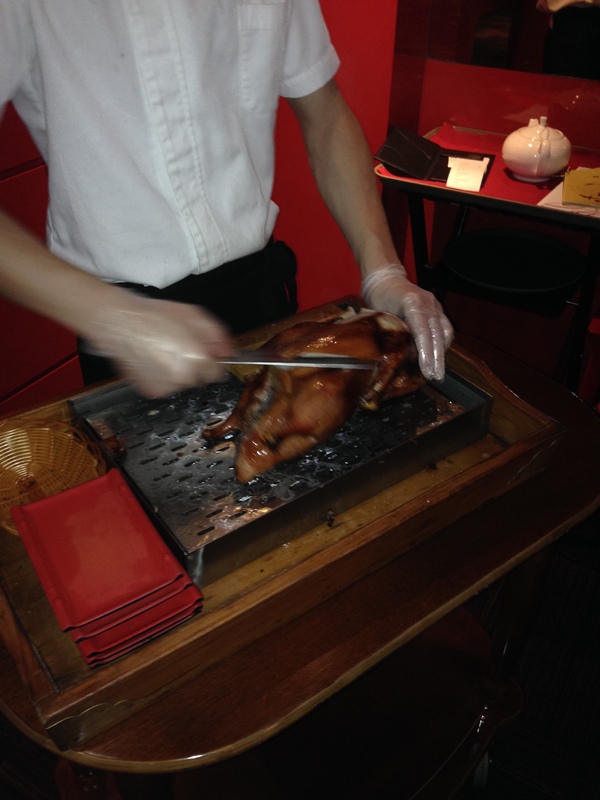 Posted in Birthday, Peking Duck, Singapore ChainsTagged Birthday, Cake, Peking DuckBookmark the permalink.